I recently had a weekend to myself which hasn’t happened in years, so I decided to relax and sit around doing a bunch of nothing. To celebrate, I watched the Lord of the Rings trilogy extended version which takes something like 12 hours or so to watch all the way through. Last time I watched these movies, I didn’t really know much about narcissists, but this time when I watched it, certain scenes reminded me of the malignant, pathological lying narcissists I have had to deal with. Many of us realize that there is a name for the behavior, but many others have dealt with narcissists and never known that they were dealing with a Narcissist. Narcs are all around us–at least 1-2% of the population according to the DSM IV, although I suspect that number is far higher since most narcs are never diagnosed. If you think about it, the traits of narcissism are in many of our most hated movie and book characters. They have hurt many people, and the sting of their betrayal is lasting. 1. Lying–Gollum will lie and do whatever it takes to fool Frodo. He wants the ring, the “Precious,” and will say whatever he knows will get him close to it…so he can take it. Isn’t that just like a narc? They will tell you whatever you want to hear so they can get their narcissistic supply filled and feel better and more powerful. 2. Playing victim–Sam is aware that Gollum is fooling Frodo and has even overheard Gollum muttering to himself that he wants to kill the hobbits, but when Sam alerts Frodo, Gollum gasps and proclaims his innocence. He acts sad and pathetic. He’s convincing and he keeps appealing to Frodo’s empathy–so much so that Frodo gets mad at Sam–his best friend– on behalf of poor, poor Gollum. Again, just like a narc. If you catch them in their games and expose them, they claim they are the victim. 3. 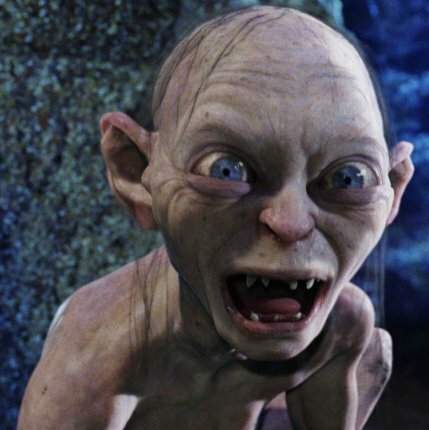 Targeting the true victim–Once Gollum has won Frodo’s trust by pretending to change and pretending to be devoted to Frodo, he starts smearing Sam and making Sam the bad guy. Sam is being so “mean” to him, even though Sam is really trying to alert Frodo to the truth. At one point, Gollum throws away their remaining food and leaves crumbs on Sam’s cape so that Frodo thinks Sam has betrayed him and sends Sam away. This leaves sneaky Gollum in the prime position to try to destroy Frodo now that Frodo’s best friend who knows the truth is out of the picture. Poor Sam hasn’t done anything but be a great friend, but he was thrown aside for a cunning narcissist. 4. Triangulating–In the previous example, Gollum is also triangulating. He creates a fight between two people who weren’t fighting and gets Frodo to misunderstand and disbelieve innocent, honest Sam. Narcissists are great at picking fights between two other people in order to get their own way. 5. Fooling others–Everyone watching the movie knows that Gollum is a bad guy. He might have a sad story, but he is now a bad guy. Yet Frodo is full of empathy for him because he understands why Gollum is bad. Unfortunately, this empathy almost gets him killed. Most psychological theories conclude that narcissists are created from either an abusive childhood or an overly indulgent childhood, but even a history of abuse–sad as it is–does not excuse the damage they do to others. In the end, Gollum is willing to kill Frodo for the ring and nearly does. You can never let your guard down with a narcissist! I think we’ve all been burned by a selfish troublemaker like this. Some are worse than others, but narcissists’ basic behaviors are all the same, and they are at the heart of cultural villains. Well Joanna, That’s pretty cogent. Having a malignant narcissistic father, and of recent narcissistic boyfriend, walking back trying to stand up at this point, wow, your writing here, is powerful. Helpful. Thank you. I hear you.